Run WhatsApp Messenger on your device. Tap on three dot menu of the app. Select Privacy section on the account page. Swipe down and remove the tick from Read Receipts option. Select account from the settings menu. Select Privacy and disable Read Receipts. 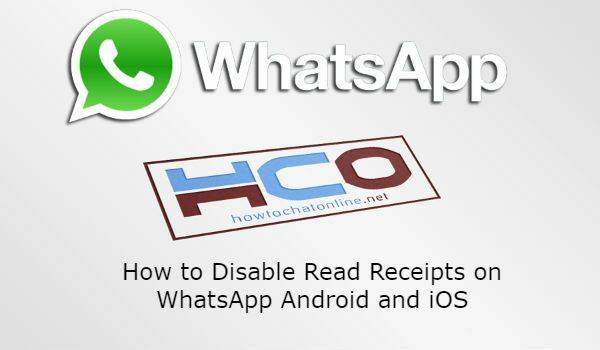 Unfortunately you can’t disable read receipts in a WhatsApp Group. The operating system is not that important for this. This is not available for any groups. We recommend you to do the plane mode trick if you don’t want people to know read their messages. We have mentioned about that in our pages before. If you need this trick, let us tell you again on here. You need to take your phone to Airplane mode first. Then go run WhatsApp Messenger. Read all messages and close the application. Once you are done, disable plane mode and no one will know that you read those messages. You can also see the basic knowledge about Read Receipts, if you don’t know what are they: What is Read Receipt on Whatsapp? This question is coming from one of our users. You can’t turn off read receipts for group chats as we have mentioned above. The app developers didn’t provide such a functionality yet and it seems such a change is not in their agenda yet. However if they make change with this feature, we are going to update this content for you.